Rob Roy Collins offers a completely original and unique motivational speaking seminar. 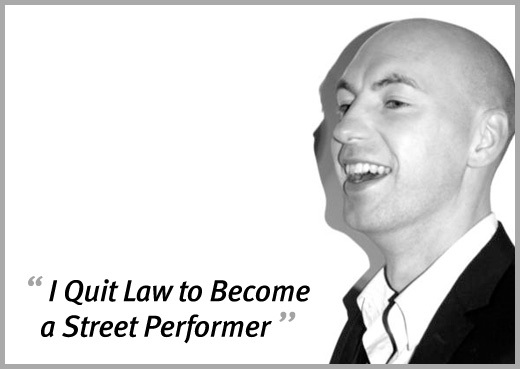 I Quit Law to Become a Street Performer is a seminar based on Rob's experiences and skills as an entertainer. It is an insight into a decade of entertaining over a million people around the world, packed with comedy and climaxing with his signature live chain and handcuff escape. There are however some serious and practical messages. Rob has identified confidence and good communication as key elements in the pursuit of success and a lack of either can greatly hinder growth and efficiency. His teachings are not simply based on theory but are the result of thousands of hours spent on the streets of London and the rest of the world honing his skills and becoming an authority in his field. Rob graduated with a degree in Law and German Law from Liverpool University and the Humboldt University, Berlin. On the edge of pursuing a career in law, he spent a summer with his brother busking in Leicester Square, London, a summer that would change his life forever. As a result of this incredible experience, Rob actually spotted the potential for a worldwide business. And so in 2001 aged 24 he wrote out a business plan, spent all the money he had on a plane ticket to Australia and vowed to return a professional street performer. Since then Rob has performed in UK, Europe, Australia, New Zealand, Canada and Japan, where he has learnt to perform his 45 minute show entirely in Japanese. He has appeared numerous times on TV, radio and at live events, including winning BBC's The Weakest Link - Unusual Jobs Special Edition, outwitting Anne Robinson. He is the first Covent Garden street performer in history to commercially merchandise himself and is a guest lecturer at Northumbria University, where he uses the key points of his seminar to lecture to Masters students. Stripping back to the bare essentials of confidence and communication Rob draws on tried and tested techniques and lessons learned from a profession which he is passionate about and still regularly practices and to which anyone in the corporate or working world can easily relate. Street performing can be the toughest form of performing around. Winning over negative audiences, coping with adverse conditions and thinking on your feet are constant requirements. From attracting an audience, engaging them and creating a unique atmosphere, to convincing them to buy into you and part with money, it is a science and an art form. Psychology, analysis, timing, sales, presentation, instant relationship building, communication, motivation and confidence building are just some of the skills Rob has acquired in becoming one of Europe's best street performers. Described as motivational speaking with substance, this refreshingly different seminar can last from 45-90 minutes up to a one or two day work shop. 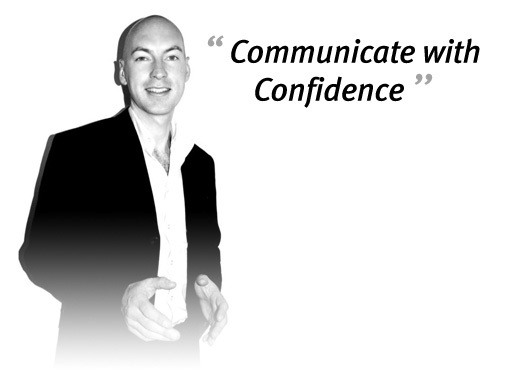 Communicate with confidence covers a wide range of topics and can be tailored to meet the requirements of any client.